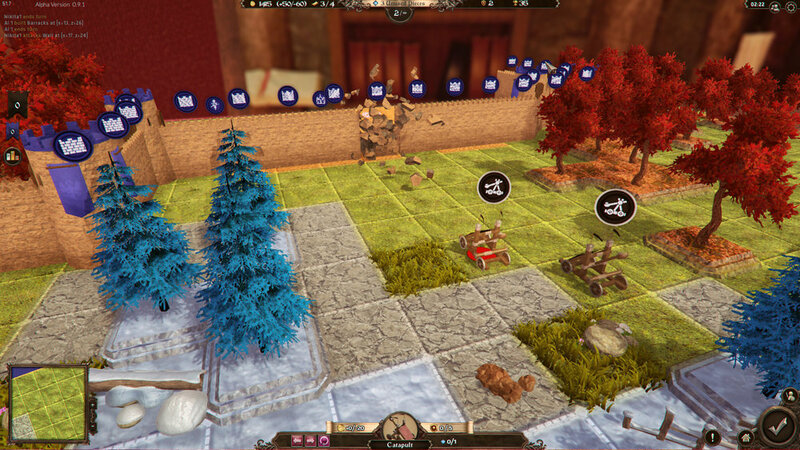 Chessboard Kingdoms is a turn-based strategy game inspired by chess mechanics. Warriors move in familiar chess patterns and typically the goal is to get the enemy king. Yet that is only the core. 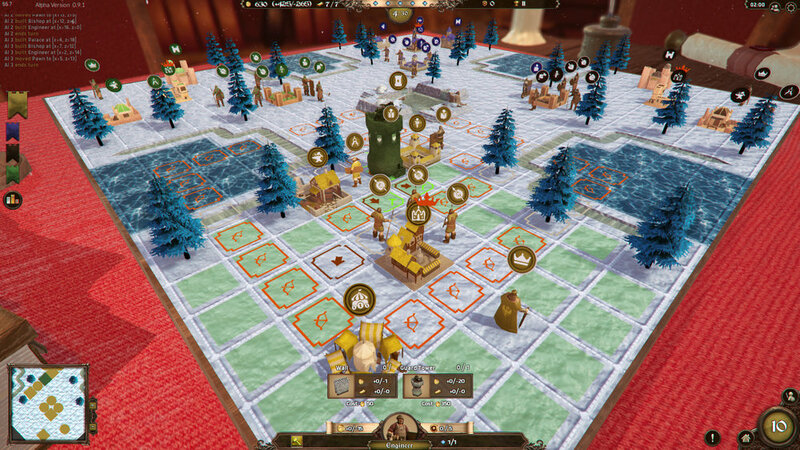 As the ruler of your chessboard kingdom you can build towns, control economy, fortify your settlements, siege enemy forts, have wizards in your service, capture flags and much more. Action takes place on vast and highly customizable maps with obstacles, high hills, and bodies of water. All of this in competitive and thought-provocative multiplayer. Take on the crown of the ruler of Chessboard Kingdoms as you command the warriors of the two opposing forces. Explore exotic lands in glorious multiplayer or prepare for serious battles by challenging AI opponents. Once ready, engage up to 4 other players in multiplayer matches. 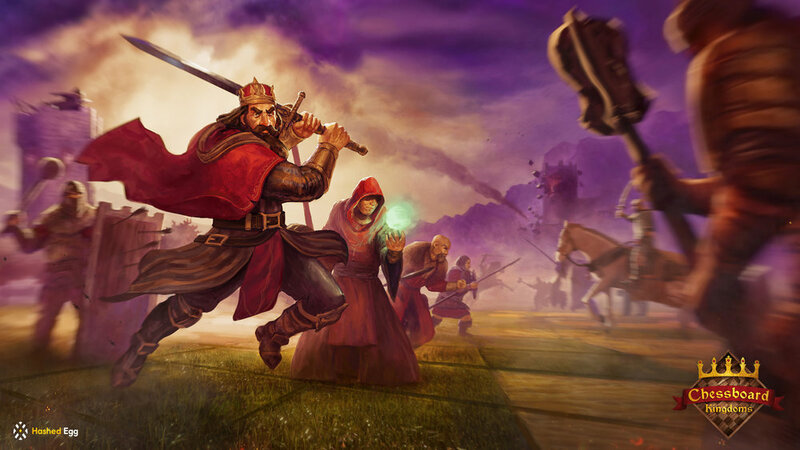 Protect your own king and lands while striking against the enemy monarch and towns. If you are not intrigued by classic chess notion of chasing the king, try the unique Capture the Flag mode, where your goal is to bring the insignia of victory to your base or keep it the longest. Strategy: Sharpen your mind with chess strategies and tactics. Put your skills to the test on different board sizes and with different combinations of troops. 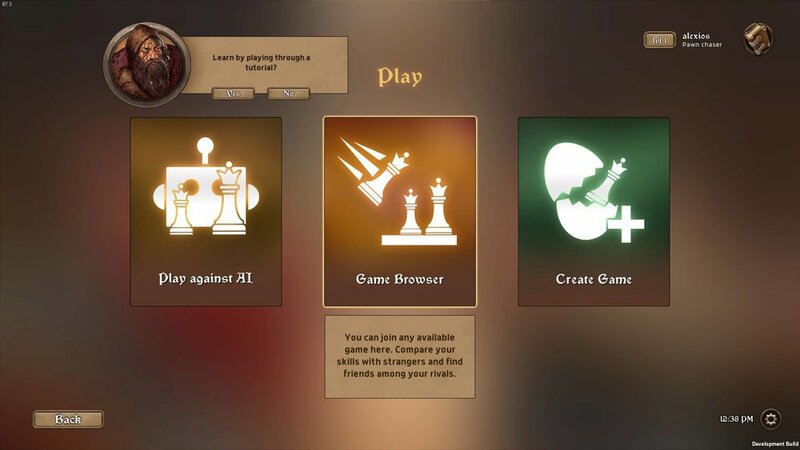 Choose to use the familiar chess-like pieces, or explore the unique additions. Build: Stationary ‘chess’ pieces? More like Barracks, Wizard Towers, Workshops, Walls and many more. Build and protect your town, and don’t underestimate the safety your walls bring. Fight: Enemy is sitting behind those tall Walls and Gates? Launch a catapult or trebuchet assault and bring down the fortress. Not only effective but it’s fun to watch those pesky walls crumble. Magic: Enchant enemies or blast them with spells. Our Wizard unit works around the familiar rules. When an enemy piece is standing in his area of effect, its movement and attack paths change. You’ll have to adapt your strategy accordingly. Multiplayer: Play with up to 4 other players on a variety of maps. Try to grasp the victory and achieve a high score. Gameplay takes on a whole new perspective when there’s more than two players involved. Competition: 'Capture the Flag' in multiplayer. Join your friends in this popular game mode. Utilize chess tactics and show you problem solving skills when trying to get a hold of that flag. A bunch of fellow adventurers on the game development tract is who we are. Amidst our ranks are programmers, software engineers, professional artists and designers. State borders don't limit us and our team is currently spread across multiple European countries. What unites us is our passion to make games, create beautiful works of art, and to challenge ourselves with new ideas whilst trying to overcome obstacles that such endeavours entail. At the core of our collaboration is the idea of bringing originality to our work. With our first game – Chessboard Kingdoms – we're trying to do just that. Inspired by a wide variety of styles and gaming classics, we aspire to bring something of our own to the table.